Our campaigning against discrimination and for full inclusion of LGBT+ Jews into the wider Jewish community, many issues have been brought to the public arena and reported across the Jewish and national media. 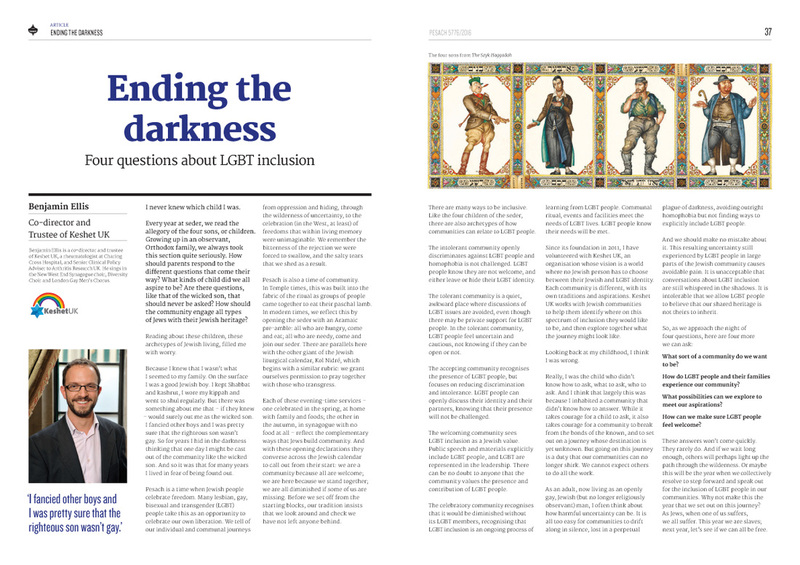 Below are a selection of news stories from recent campaign work we have done or relevant to discussions of Judaism and the Jewish LGBT+ community. KeshetUK was included in the Pride in London 2018 media campaign. "Going to pride to cultivate the spirit and practise of inclusion of all parts of the Jewish community".